SUNNYVALE, Calif – June 19, 2012 – Raved announced today that its app for iPhone and iPod touch is now available on the App Store. Raved is a convenient way for consumers to discover, save and share great places to eat, drink, shop and get things done – all based on trusted recommendations from friends. CONCORD, Mass. – July 11, 2012 – Tencent Boston today unveiled the first original production to come from its game development group Stomp Games. Robot Rising is a science fiction themed action role playing game designed for the browser that will initially be available on Facebook. Leveraging top Western development talent and best-of-breed online gaming know-how from the East, this initial release from the studio will deliver premium game play and full 3D graphics to the social networking masses. 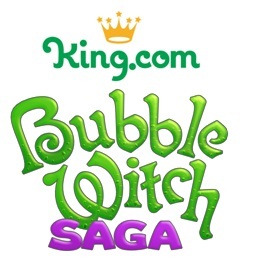 SAN FRANCISCO – June 27, 2012 – King.com, the leading casual social games company, will be debuting Bubble Witch Saga on mobile this July. Bubble Witch Saga, the addictive hit bubble shooter game with over 4.5 million daily active players on Facebook, will be the first iOS game to offer complete progress synchronization with Facebook. Players who link their Facebook account can complete and unlock levels on their iPhone, iPod Touch or iPad device and continue their quest on Facebook, and vice versa. Both new and current players will enjoy over 150 levels free when Bubble Witch Saga debuts for iOS devices in July. SAN FRANCISCO – March 6, 2012 – SweetLabs, makers of Pokki, and Digital Chocolate today released the popular Galaxy Life game as a free desktop download for the first time at www.pokki.com. With Galaxy Life now just a click away, gamers can build armies, form colonies and interact in constant connectivity with friends and rivals using Pokki.